The Danquah Institute, an Accra-based policy think tank, has called on the collective leadership of the Economic Community of West African States and the African Union to actively show, with urgency, leadership and concern in the Federal Republic of Nigeria. “Such a priority engagement could boost ongoing domestic efforts at finding a democratic solution to the pending constitutional crisis in the biggest black nation in the world,” the think tank argues, adding that the situation is threatening Nigeria's democracy and the stability of the region. After a longer history of instability, coups, military dictatorship and controversial elections, Africa's most populous nation is struggling to contain the ramifications of a seriously ill, and absent, president. The AU Constitutive Act declares a commitment “to consolidate democratic institutions and culture, and to ensure good governance and the rule of law.” Mr Otchere-Darko sees this as an opportunity for the AU to demonstrate commitment. “We believe President John Evans Atta Mills should impress on other African leaders about the urgency and importance of this mission to help ensure that the future of multi-party democracy in Nigeria is secured. If Nigeria fails we all fail,” the statement warns. On November 24, President Musa Yar'Adua checked into a Saudi Arabian hospital with a serious heart condition and has not been heard or seen since. This has prompted calls for his resignation. Earlier this month, 56 prominent Nigerians called for President Yar'Adua to hand power to his vice president. But that call has also raised another controversy, bordering on ethno-religious lines and constitutional conventions. Since Mr Yar-Adua's hospitalisation, Nigeria has had nobody acting as President. “Unlike Ghana, for instance, where the vice president automatically acts whenever the president leaves the shores of the country, the Nigerian constitution is more stringent on this issue,” says Mr Otchere-Darko. No such letter was written by the president, formally handing power to Vice-President Goodluck Jonathan, before he left the country for treatment. Also the constitution is almost silent on the exclusive powers of the vice president when a substantive president is in office, Mr Otchere-Darko says, further incapacitating the president's deputy under the circumstances. The failure to hand over to the vice-president has created a serious power vacuum. This has led to a constitutional crisis where legislative bills cannot receive presidential assents. “A typical case in point is the 2009 Supplementary Appropriation Bill. Both the Senate and House of Representative passed the N352.5billion supplementary budget bill in November. It has to receive presidential assent in 30 days. Vice President Goodluck Jonathan admits he cannot sign the budget without being cloaked with Section 145 powers,” Mr Otchere-Darko points out. “Another constitutional crisis may hit the judiciary in a few days time,” he warns. Last week, the Senate approved the nomination of Justice Aloysius Iyorgyer Katsina-Alu as Chief Justice of Nigeria. He is to take over from Justice Idris Legbo Kutigi, who retires on December 31. However, the head of the third arm of government must be sworn in on January 1, 2010 by the President of the Federal Republic. “Thus, Africa is looking at a very likely scenario where the most populous nation on the continent would have a headless executive and a headless judiciary,” Mr Otchere-Darko predicts. A convention that has supported the stability of the Fourth Republic Constitution dictates that power rotates between the predominantly Muslim north and Christian south and former President Olusegun Obasanjo's tenure effectively defined that rotational period to be every two presidential terms in office. The current vice president is a Christian from the south. This has led to loud calls for him to resign if the option of acting president becomes available, for fear that his ascendancy would upset the north-south rotation convention. Mr. Yar'Adua has two years of his first term left. The Danquah Institute is worried about the prospect of the constitutional crisis being exploited by some military adventurists. “The Nigerian armed forces have shown tremendous professionalism in recent years. The Nigerian political elite has also shown tact and maturity in resolving peacefully previous crisis. Moreover, the Nigerian people have been patient and resilient. But, we can't afford the luxury of complacency and rule out anything, especially, when these crisis are coming on top of long held perception by the masses of massive corruption and the tolerance of that anti-development culture in the body politic,” Mr Otchere-Darko cautions. This widespread perception of corruption was not helped when on December 17 a federal judge threw out a $60 million corruption case against a former governor which many Nigerians believed was an opportunity to finally bring to book big politicians who allegedly steal millions of dollars from government coffers. Justice Marcel Awokulehin dismissed the 170-count case against former Delta state governor James Ibori and a close associate of President Yar'Adua for lack of evidence. The case is seen as a big blow against democracy. Mr. Ibori, who as governor received an official salary of about $25,000, was indicted by the Economic and Financial Crime Commission (EFCC) in December 2007, which resulted in a UK court freezing his assets in that country worth $35m. The head of the EFCC at the time, Nuhu Ribadu, was shortly after fired and eventually forced to flee the country. “Another blow against democracy is the perception that the fight against corruption is only 'stage-managed' when the accused person is an 'enemy' of the powers that may be,” Mr.Otchere-Darko says. 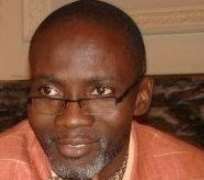 On December 9, a presidential candidate in 2007, Attahiru Bafaraw, was picked up on corruption charges in the course of a meeting by opposition forces aimed at forming a formidable united front against the ruling party for the 2011 elections. The country's security has been further compromised by the president's absence. Ripples of the vacuum created by President Yar'Adua's ailment was felt in the troubled Delta State last weekend when Nigerian militants reportedly carried out their first attack on an oil pipeline since an amnesty offer. They said the attack was prompted by the absence of President Yar'Adua, which was delaying peace talks. The Movement for the Emancipation of the Niger Delta, the main militant group in the region, held formal peace talks with the president only two weeks before he left for treatment in Saudi Arabia. The unconditional cease-fire declared on October 25 appears to have been broken now. Again, there are reports that the absence of President Umaru Yar'Adua from the country may be sparking off supremacy battle among his cabinet members and close aides. The Danquah Institute points out that Article 3 of the AU Constitutive Act states its objectives as including the achievement of greater unity and solidarity between the African countries and the peoples of Africa; the promotion of peace, security, and stability on the continent; the promotion of democratic principles and institutions, popular participation and good governance. DI argues further that per its fundamental principles as enshrined in Article 4 of its treaty, ECOWAS has a duty to assist Nigeria promote and consolidate its democratic system of governance, thereby, helping to maintain regional peace, stability and security.